Welcome to Rosenort, a small town that has a safe school, recreation opportunities, shopping, plenty of job opportunities and many friendly neighbors. Sunburst Crescent is known for being a family friendly neighborhood where children can play together. As you walk through the front door you are greeted with hardwood floors, lots of windows that allow a flood of natural light, main floor laundry, spacious kitchen that has granite countertops and an island. You will continue to be amazed by the private backyard complete with large 20x24 deck, hot tub and large play area. The finished basement does not disappoint; tall 9' ceiling height, private office, 4th bedroom, 4 piece bathroom and a high efficiency gas furnace keeps the home warm and cozy. 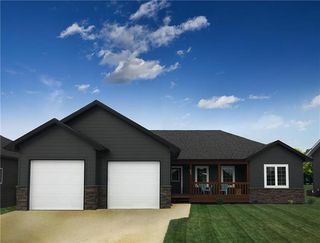 This is a home where pride of ownership is very evident, has high quality finishes and a great floor plan. Close to new but only a fraction of what it would cost to replace at current building costs. Don't miss this opportunity for a great home at a great price. The GPS coordinates are correct. From Rosenort, South on River Road South 1 km, Right/West into Sunburst Crescent, look for #60 on the Left side of Crescent.